Culinary Physics: Best Dried Herbs: How to Use Herbs in Cooking? Best Dried Herbs: How to Use Herbs in Cooking? Fresh is often best, both in terms of flavor and nutritional value. But it’s not the only option. Many long-cooked dishes or recipes call specifically for pungent dried herbs like oregano, rosemary, sage, and thyme. In some recipes like stew, fresh herbs simply can’t withstand the heat and lengthy cook times, and the dried herbs offer more robust flavors that permeate through the entire dish. Many fresh herbs lose their flavor when dried. 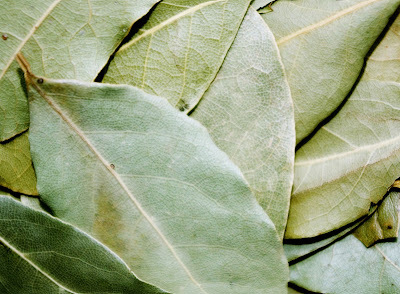 But there are numerous herbs that hold up well like bay leaves, oregano, rosemary, savory, sage, and thyme. These herbs have thicker, sturdier leaves and stems than their delicate, tender, soft-leaf counterparts like parsley and basil. During the drying process, the full-bodied flavors in these herbs become concentrated and more intense, so you’ll get a stronger punch with smaller amounts than you’d get with fresh herbs. When dried, many of herbs’ aromatic molecules escape as flavor-containing oils evaporate. Also, each herb has a unique combination of aromatic substances, which evaporate at different rates, so a dried herb can have quite a different taste. Hardy or tough herbs (e.g. rosemary, thyme, sage, oregano, bay) from warm climates stand up to drying better than delicate herbs, as their tough leaves and stems have evolved to lock in moisture when exposed to the harsh midday sun or high temperature. Trapped in the leaf, their flavor molecules are better retained when dried. The dried herb is then able to deliver a strong, near complete, flavor profile. Apart from bay leaves, herbs’ aromatic substances easily disappear when the leaf is dried. RELATED POST: How to Use Herbs in Cooking Delicious Food? Confused whether to use fresh herbs or dried? How do you use dried herbs in cooking? 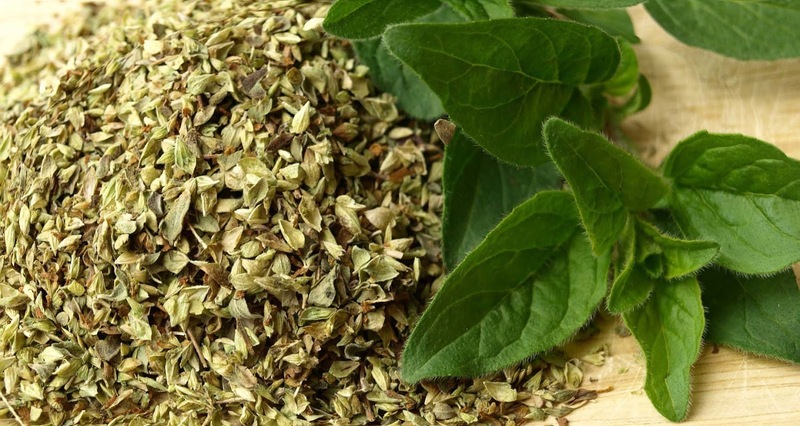 How you can get the best from dried herbs? 1) Dried herbs come in useful when you’re short on fresh ingredients and need a substitute in a pinch. And they do the trick using much smaller quantities. In fact, dried herbs are especially useful in the winter months, when warm-weather herbs are no longer in season and at their most expensive price. 2) Grind herbs before using. Grinding dried herbs in a traditional mortar and pestle before use aids in the release flavorful oils. Remember, however, that when a fully integrated flavor is desired, reliable electric mills should be used. I’ve also found that a grinding of mixed spices can perfectly mix the flavors together better, even if the components were preground. 3) When swapping dried herbs in place of fresh herbs, use only one-third the amount called for in the recipe. Hence, if the recipe says 1 tablespoon fresh thyme leaves, use 1 teaspoon dried thyme (3 teaspoons equals 1 tablespoon). 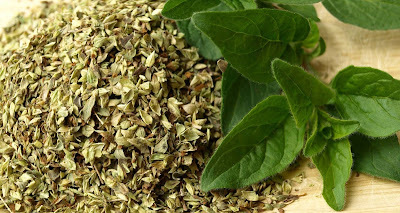 On the other hand, if using fresh herbs instead of dried, multiply the amount by three: 1 tablespoon dried oregano calls for a substitution of 3 tablespoons fresh. 4) Use the right amount appropriate for recipe. 5) How can you bring out the flavor in dried herbs? Cook dried herbs in oil. You can release dried herbs’ fat friendly flavor molecules by cooking them in your favorite oil. 6) Store herbs carefully. Direct light and heat degrade herb’s flavor. Store dried herbs in an airtight container in a cool and dark place. 7) You can make your own. For the most savory dried herbs, you can easily dry fresh herbs at home in the oven. 8) In the end, though, choosing between fresh and dried herbs is mostly a matter of how often you’ll use them. Do you love cooking Italian food or French cuisine? Choose for fresh basil, parsley, and oregano, since you’ll get great use out of those herbs in your kitchen. If you only rarely use rosemary or dill, settle for the dried stuff: You’ll have some on hand if you need it, but it won’t be a costly (and wasteful) kitchen staple. How to use dried herbs? Dried herbs are generally more potent and concentrated than fresh herbs that’s why you'll need fewer amounts. If a recipe calls for fresh herbs, but you only have dried herbs on hand (or you don't want to spring for fresh), just follow the fresh to dry herb conversion below. 3) Cilantro Taste: Why Coriander (Cilantro) Tastes Like Metal or Soap to Some People?